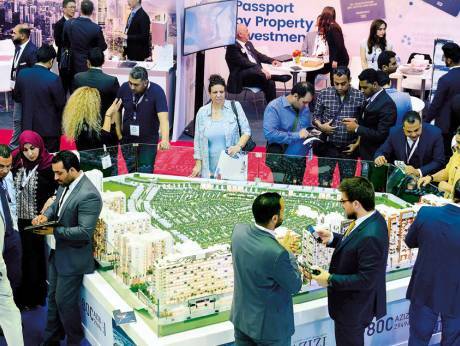 Volpi cites a payment plan by Nakheel on ready property in Azure Residences on Palm Jumeirah, where one can pay 5 per cent and move in, and the other 95 per cent over five years. Because the units are ready, they can be rented out and buyers can also use the rental income to pay part of the purchase price. Manika Dhama, associate partner at property consultancy Cavendish Maxwell, notes that developers are increasingly looking at innovative ways to market their products. One of these is more targeted marketing to certain segments, including special roadshows in China, Russia or Eastern Europe. With the amount of supply to choose from, developers will have to continue differentiating their products and offering incentives. Dhama cites “nearly ready” villas at Arabian Ranches II, which are being sold with a five-year payment plan (80 percent post-handover) with free Dubai Land Department registration fee and free service charges for five years. Damac offers up to 10 years free service charge and half the registration fee for certain projects in Akoya Oxygen. Ultimately, while incentives involving freebies such as cars have emerged in the past, structured payment plans are still much more effective in attracting buyers. “Any developer that goes down that route will be successful,” says Volpi.